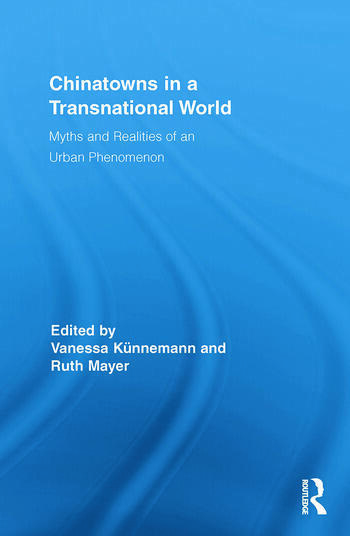 This book explores the history, the reality, and the complex fantasy of American and European Chinatowns and traces the patterns of transnational travel and traffic between China, South East Asia, Europe, and the United States which informed the development of these urban sites. Despite obvious structural or architectural similarities and overlaps, Chinatowns differ markedly depending on their location. European versions of Chinatowns can certainly not be considered mere replications of the American model. Paying close attention to regional specificities and overarching similarities, Chinatowns thus discloses the important European backdrop to a phenomenon commonly associated with North America. It starts from the assumption that the historical and modern Chinatown needs to be seen as complicatedly involved in a web of cultural memory, public and private narratives, ideologies, and political imperatives. Most of the contributors to this volume have multidisciplinary and multilingual backgrounds and are familiar with several different instances of the Chinese diasporic experience. With its triangular approach to the developments between China and the urban Chinese diasporas of North America and Europe, Chinatowns reveals connections and interlinkages which have not been addressed before. Vanessa Künnemann is Assistant Professor of American Studies at the University of Hannover. Ruth Mayer is Chair of American Studies at the University of Hannover.